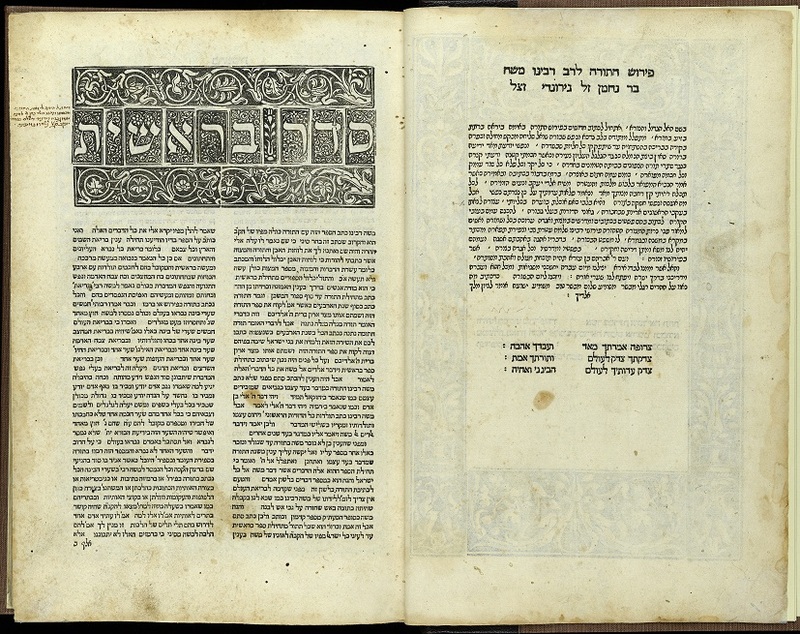 Published in 1514, this commentary on the first five books of the Hebrew bible is by Moses Ben Nahman or Nahmanides (1195-1270), a Spanish rabbi and leading Jewish scholar of the mediaeval period. 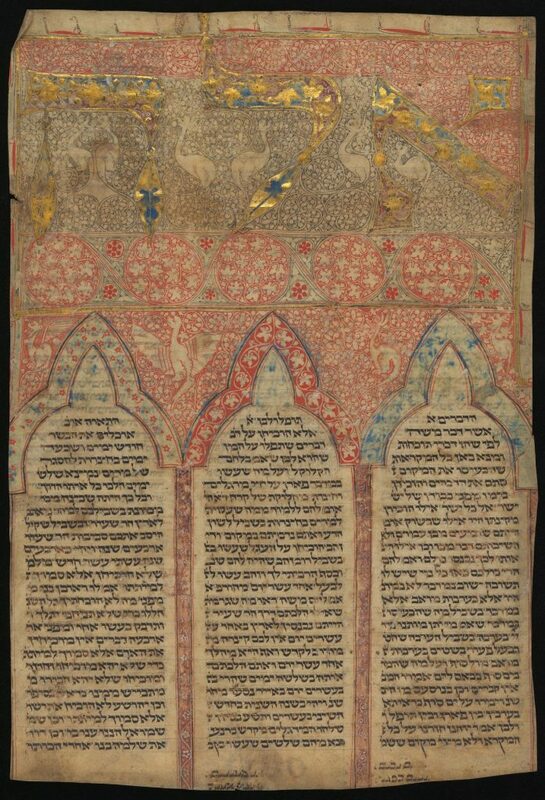 The volume is part of the Dalman-Christie Collection, which came to New College Library in 1946 from the Church of Scotland Hospice in Jerusalem. 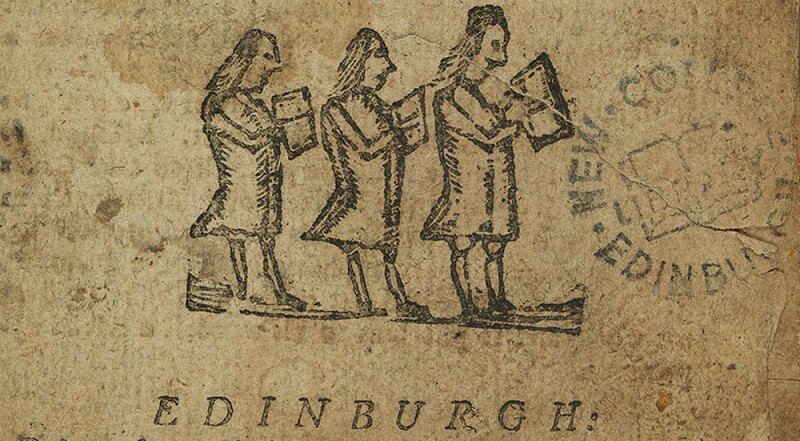 The Bible is at the heart of New College Library’s rare books collections, just as it was in the Scottish Reformation. This is illustrated by the rich collections of early Bibles in Latin, Greek and Hebrew and the many Bibles in a great number of languages, which have been published over the centuries. Biblia sacra utriusque Testamenti: juxta veterc̃ trãslationem. Nuremberg: Johannes Petreius, 1529. Knox 3. 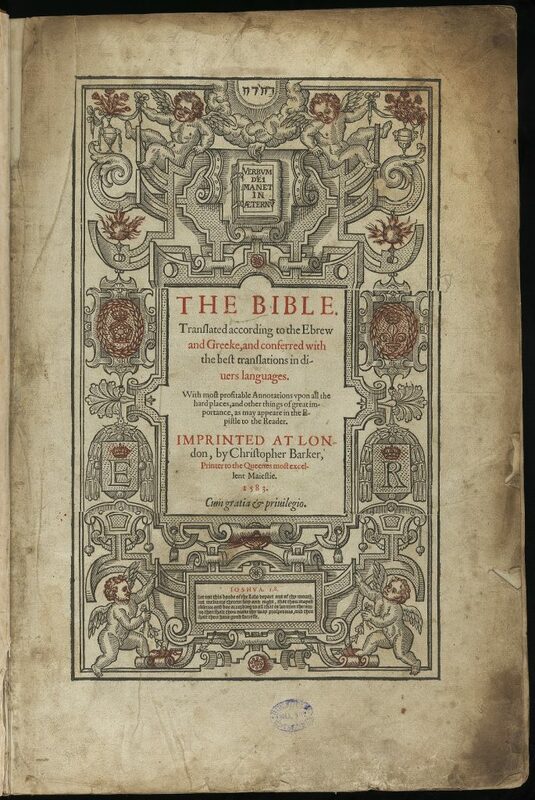 This exceptional sixteenth century bible is inscribed on the title page as “A. 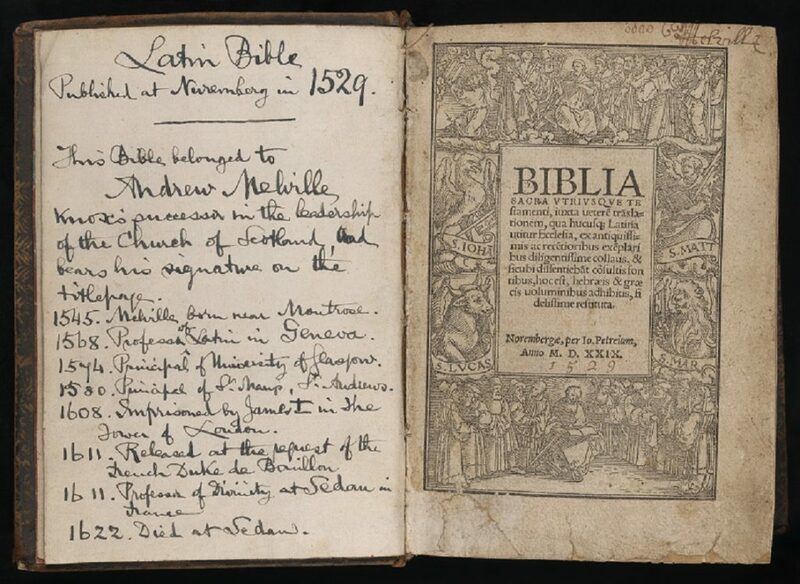 Melville” and manuscript notes attribute it to be the bible of Andrew Melville (1514-1622). He was a biblical scholar and Rector of St Andrews University, who followed in the footsteps pf John Knox (1513-1572) as a religious reformer. This bible is part of the John Knox Collection, formerly kept at John Knox House in Edinburgh. The Tudor rose stamped into the front cover of this book may be a clue that it was once intended as a gift for Queen Elizabeth I (1533-1603). Accompanying archival evidence proposes that William Fuller (died c. 1586), who was in exile with the English church in Geneva. 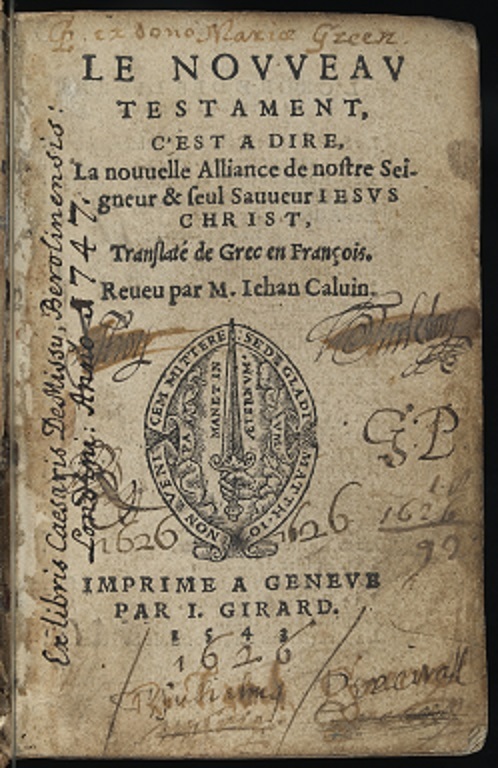 This translation of the bible is known as the Geneva version and was perhaps the most widely read English bible of the Reformation era. Both John Knox (1513-1572) and Jean Calvin (1509-1564), founding figures of the Presbyterian Church, were involved in its creation which made it particularly influential in Scotland. This entry was posted in Library, New College Library and tagged Bible, Biblical Studies, Funk, Hebrew, Jewish, new college library, rare books by cloverodgers. Bookmark the permalink.